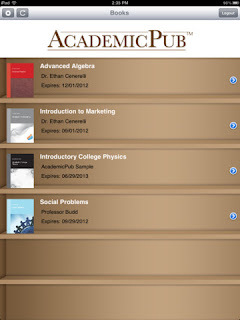 We're excited to announce some new features to the AcademicPub platform! Grab the link your students need for direct purchases from AcademicPub. See how many of your students have purchased course materials to this point. Download your personal, complimentary desk copy. Easily re-adopt a book you've used in the past for next semester. Archive a book you're no longer using, with the option to easily recover it in two clicks next time you want to use it. Next up is Instructor Access to the AcademicPub iPad Reader™. 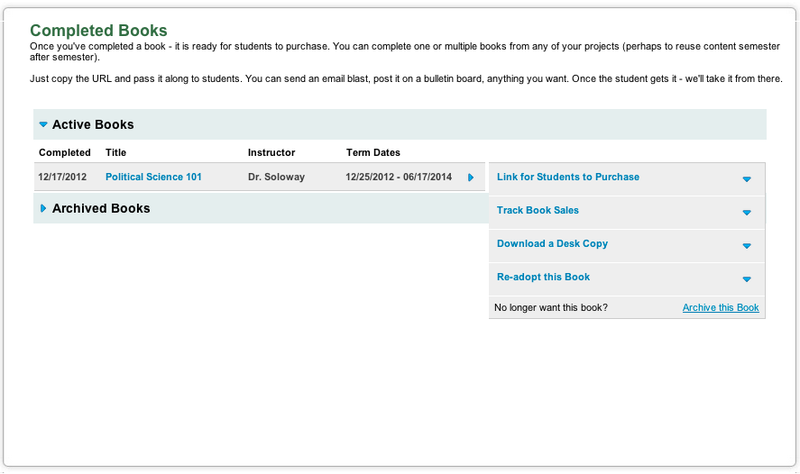 Interested in creating the dynamic, do it yourself textbooks from the largest content library in the world? Visit us today.